It's been a while since Cooper and I played our Deadlands Reloaded bedtime story. We've been really busy though! 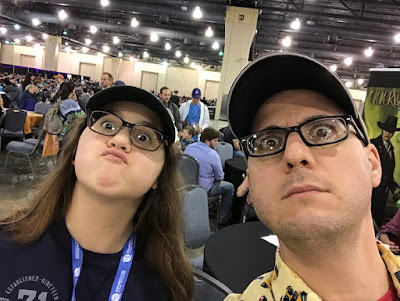 Between the holidays, PAX Unplugged, a lot of work travel, a big Christmas Eve extravaganza with the family, and getting side tracked by Super Smash Bros Ultimate, we've been lax on our family gaming. Here's hoping to turning the corner in 2019! 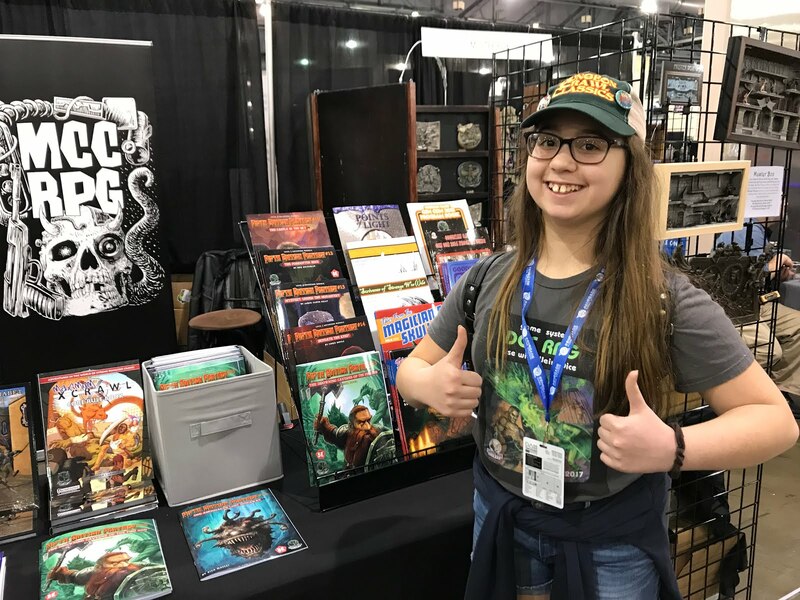 I think our excitement over the new Savage Worlds Adventure Edition will definitely help. 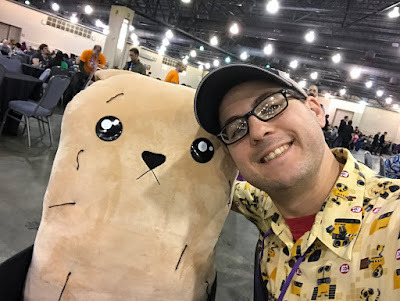 We are head-over-heels geeking out about the new game, as well as the new Savages we've found here in the Philly area who share our fervor for all things Savage Worlds. 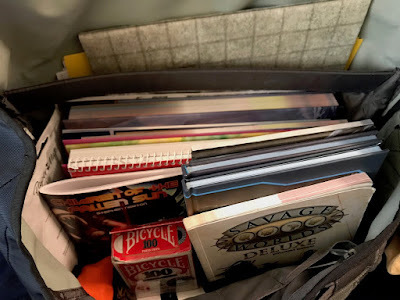 For those folks who wonder about how hard it is to convert existing, Savage Worlds Deluxe campaigns and settings to the new #SWADE rules, let me just say this: it's not. Seriously, just a few adjustments here and there, and we were off to the races. As I stated in a previous post, we're using Bennies instead of Fate Chips, mostly because I wanted to make the game more friendly for a younger player. I also ditched the Guts skill setting rule, and went just for straight Spirit rolls for Fear tests. After tweaking Cooper's character skills, we were good to go! Cooper and I wrangled my wife Jennifer into the game. She'd be playing Cooper's sidekick spellcaster, Mr. Zink. No luck this time in getting the other two kiddos to the table, but maybe in a future session. At some point I think we'll have a friend or two of Cooper's join in as well. 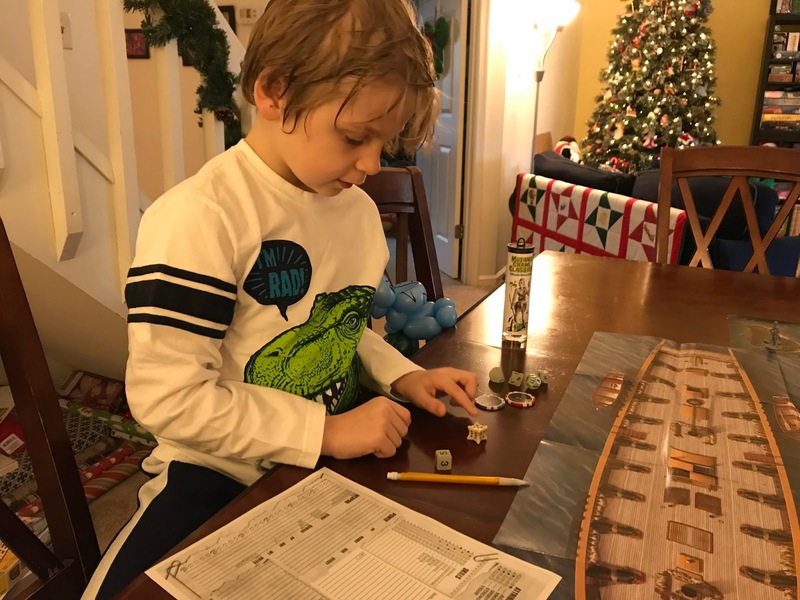 So far it sounds like he's the only kid in his class that even knows about tabletop roleplaying games. For our third session of this kiddo campaign, I thought we'd playtest some mapping rules that I'm working on for an upcoming Savage Worlds Adventurer's Guild adventure. Still no title, and barely any plot, but for this adventure to work I need tinker with the mapping mechanic. If successful, I'll be able to use the same system to add flavor to just about any ship map. So this week it was an old brig with Deadlands, and next weekend I'll be playtesting again with Space 1889. The playtest also gave us the opportunity to try out a pair of super-awesome gaming products that we recently picked up: the Dangerous Seas: Fighting Brig map by Chris West, and our new custom Hero Forge miniatures. 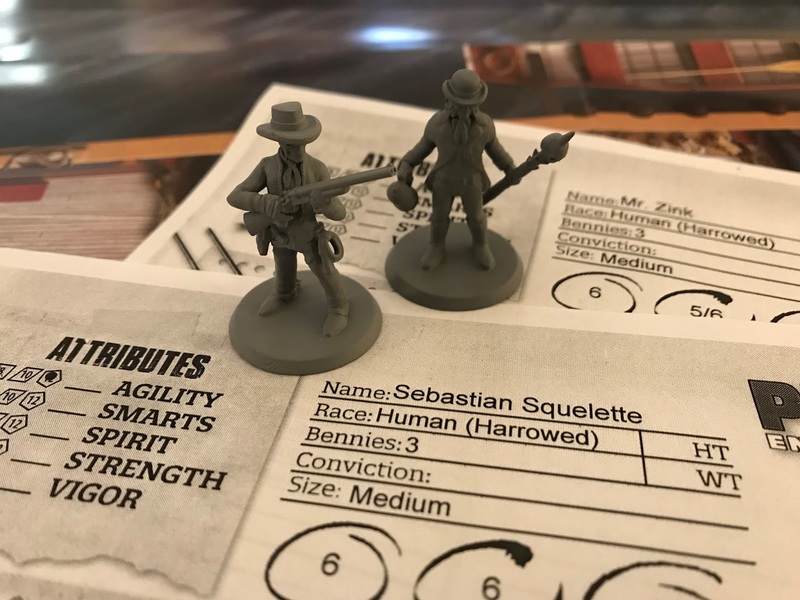 Those of you who read our first post in this series may remember that the character of Sebastian Squelette started out as a Hero Forge creation. So cool to see this guy come to unlife! I promise to paint all these figures soon, but most of them are relatively new, and I just haven't had time. I should note that since the last session, I updated Cooper's character, Sebastian Squelette, for the new Savage Worlds Adventure Edition. I also built Sebastian's zombie-themed, equally harrowed sidekick, Mr. Zink (to be played by my wife Jennifer). Upon freeing Mr. Zink from Ringmaster Philippe in Dodge City, Sebastian headed southwest into New Mexico, on his way to his hometown of Tombstone. Along the way, Sebastian got word that the Dynamically Dashing Darren, the flashy masked occultist from Pittsburgh, had created an arcane research station on the San Juan River in New Mexico using the remains of an old Brig inexplicably hauled all the way from Lake Erie by dark magic. Figuring that cool magic equipment could be located on board DDD's boat, Sebastian chose to go for a secret raid. The adventure started with both Sebastian and Mr. Zink on a nearby small island. 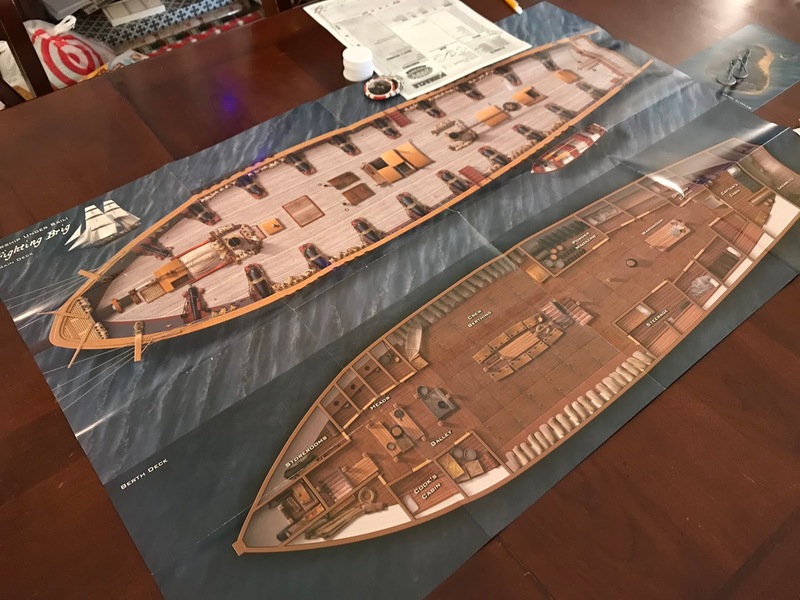 After swimming to DDD's Brig turned Arcane Lab, the two climbed up onto one of the dinghies and made their way to the deck. A brief gust of wind almost knocked them both off the side of the ship, but Sebastian and Mr. Zink kept their balance. They found all of the doors to the lower deck closed, and decided to stealthily climb down one of the center stairwells. 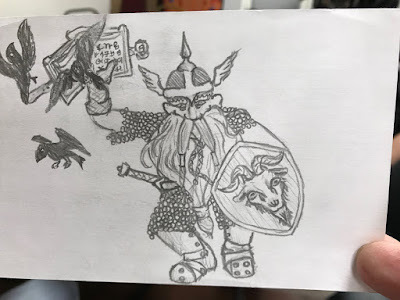 When the two made their way down the port side staircase, they saw a big, metal suit of armor walk by, clutching an enormous crossbow in its hands. It must have heard one of the two outlaws (most likely Mr. Zink, who wasn't being very sneaky), and stopped to investigate. Sebastian decided to climb back up the stairwell, and back down the adjacent one that led to the starboard side of the boat. Again, they saw another armored suit, also pursuing the sounds of intruders. But this metal construct was quite clumsy, and it knocked over a lantern setting part of the ship on fire. Mr. Zink decided it was time to thin out the armored figures. The Harrowed Huckster snuck around behind one of the metal suits and used a lingering lightning bolt to knock out the construct. As soon as Mr. Zink dispatched the armored figure, though, a sinister laugh came from behind. It was the Dynamically Dashing Darren! DDD used his pummeling Havoc fists to occupy Mr. Zink, nearly striking the Harrowed several times. Seeing that his friend was in trouble, Sebastian charged over with his trusty shotgun and started blasting away. Despite DDD's exceptional dodging skills, he was no match for the super fast, skeletal outlaw! Sebastian and Darren traded blows while Mr. Zink burrowed into the ship and got the drop on the second suit of enchanted armor. Even after taking a direct hit from DDD's magic, Sebastian felled his foe. Mr. Zink was not far behind. 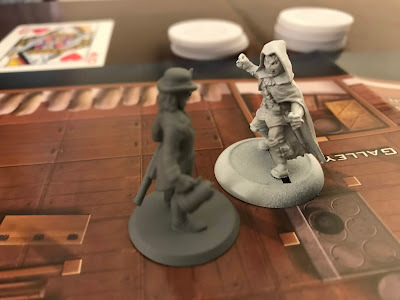 With combat over, the two outlaws worked to put out the flames. Sebastian raided a nearby storeroom, where he had to brave a small swarm of tiny evil monkeys guarding the barrels of water. Fortunately, Mr. Zink's Fear spell scared off the little demons. 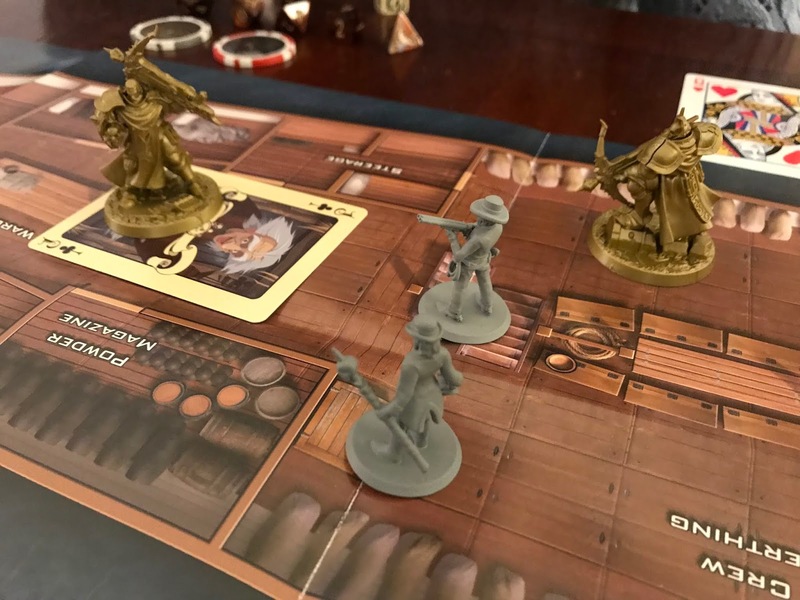 With the flames finally out, the outlaws grabbed some of the Dynamically Dashing Darren's magical creations and fled the damaged brig for shore. The adventuring party spends the day exploring Castellum Cotcyst. So that they can rest later, Walter the Elf calls dibs on an extra tent. Floyd Pink finally figures out how to speak Kith. The building is called "The Strong House," a cache of special weapons and gear for outgoing Warbands. The local Kith refer to the PC's as "Oofler," which essentially means "Non-Kith Members of a Kith community." Without belonging to a sanctioned warband, the PC's can't access the Strong House. There are no whole Greenstones in the Strong House, but there is one located in the Castellum's Tower. The party goes to the Tower and tries to speak with one of the Masters. They are turned away, and told that they can't gain an audience without having something to trade. Something of worth or value. There are 3 known intact Greenstones on the Purple Planet. The one located in Castellum Cotcyst, one located within the Ziggurat of House Reagan'tor, and one held by the Great Worth Mother Vatya-Ibdid. The Wingleader tells the party that they can't gain access to the Masters unless they gain more glory. 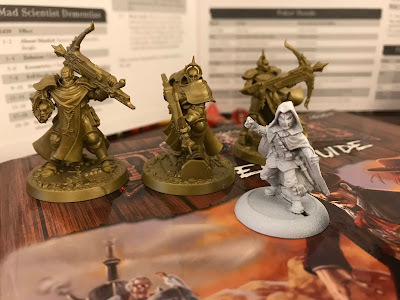 The idea pops up about running their own Warband. The Wingleader agrees to give the PC's one hundred Kith to form their own Warband. Queue the Rocky training montage. The PC's train their warband, under Warlord Floyd Pink. Ssof, Watson, and Walter act as Champions. 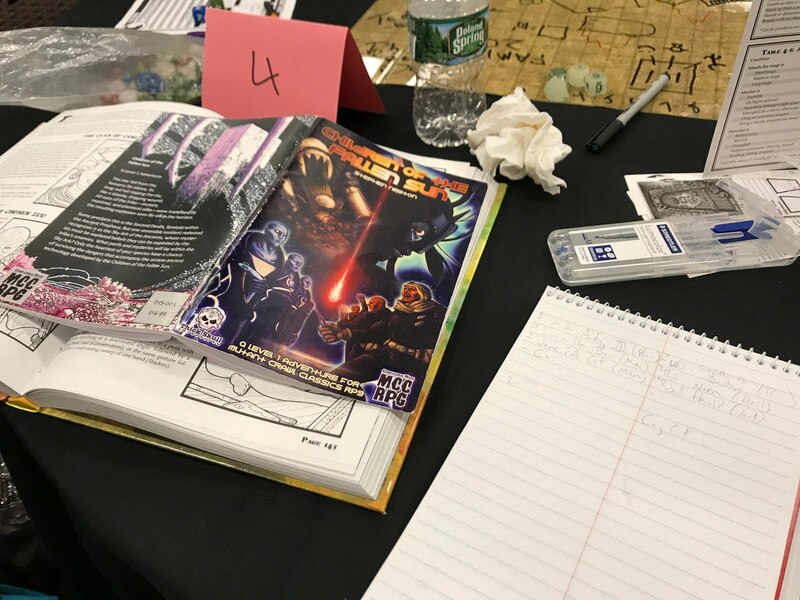 I broke out the Warlords of the Purple Planet playtest rules and ran the PC's through a single-player version for the remainder of the session. In the first few days raiding the western edges of the Purple Planet's plateau, Floyd's Warband successfully doubled their size. They raided several exile forts and unaligned Kith camps. After defeating each in combat, the warband added to their number. Along the way the warband also picked up more greenstone shards, discovered some fun beast-mounts to make themselves faster, and even pressed more exiles into service. Eventually, after 19 days exploring the wastes, the Great Orm Mother Vatya-Ibdid attacked! It must've sensed all the greenstone shards on the party. But after three days of battle, the party's warband started winning! Vatya-Ibdid started to turn and flee her attackers, when the individual PC's decided to make a play for the greenstone within the creature's brow. Didn't capture any this session! Sorry! Finally start Moon-Slaves of the Cannibal Kingdom after months of attempts. No more blogging of post game recaps because they take too long. Okay, I broke both of these deals. Instead of visiting the Cannibal Kingdom, I thought we'd give Blood for the Serpent King a go first. I'm working hard on finishing all the modules I've purchased, and I thought we could knock out the Serpent King in one session. I was wrong, although we should wrap it with the next session. As to the post game recaps, this is the best way I have of keeping the game details organized. 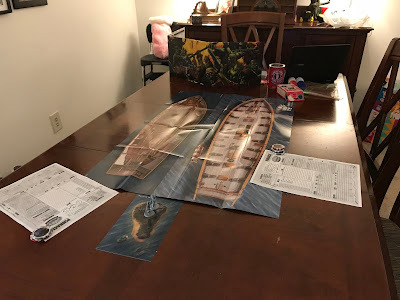 The PC's follow the treasure map they discovered at the Inn of Five Points to the swamps south of Five Points. They find a submerged temple within the mire. Marco the Thief investigates the door to the ruin, aided by allowing Door (the spirit of doors living within his mind) and learns that a sacrifice is necessary to open the portal. A flock of flying serpents is disturbed, and starts attacking Marco. Not long after, eight serpentfolk hunters appear and attack. The party dispatches the flying lizards, kills half the serpentfolk hunters, and scares off the other half. After using one of the serpentfolk corpses for a blood offering, the party opens the doorway into the ruins. Descending down a staircase Marco discovers a trap door. The party quickly gets to work barring the door to the outside, planting marbles all about, and setting an alarm rune just in case someone followed behind them. The next chamber has an altar with a case on top. 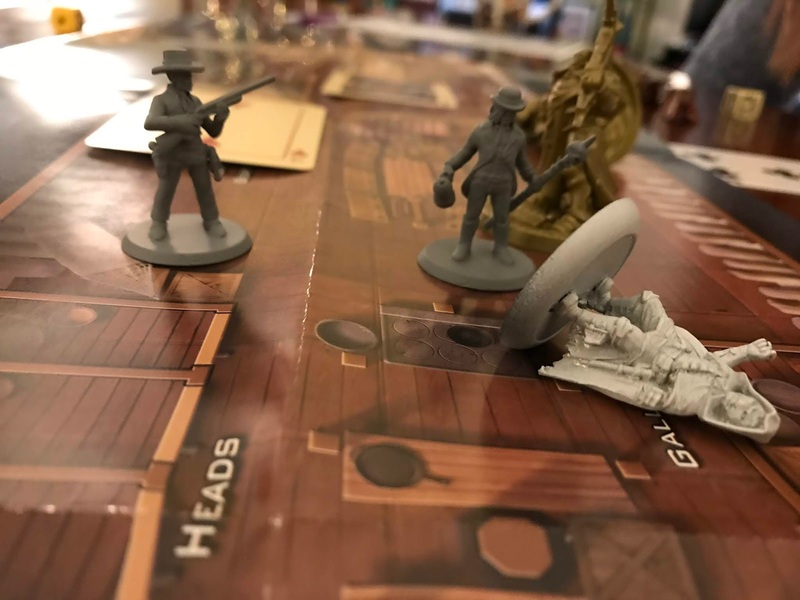 Tonya pushes off the lid to the case, and is immediately stabbed by two guard statues (nearly dying). Inside the case are a trio of orbs: white, black, and green, each with a chip removed. All about the chamber are murals and pictures. Behind the altar, serpentfolk writing adorns the walls. The party finds secret passages to the north and south. The one to the north holds all kinds of treasure. The one to the south reveals five skeletal serpentfolk on raised platforms, in addition to a dead dwarven explorer on the floor. The dead explorer is holding a case full of lenses that allow for different languages to be deciphered. The party finds a secret door behind the altar, following it to a room largely occupied by a great chasm. The gap to the other side of the room is over thirty feet wide. When the party steps towards the edge, they are carried to the other side. But they can't be carried back, so they fashion a rope bridge so that they can return when they want. 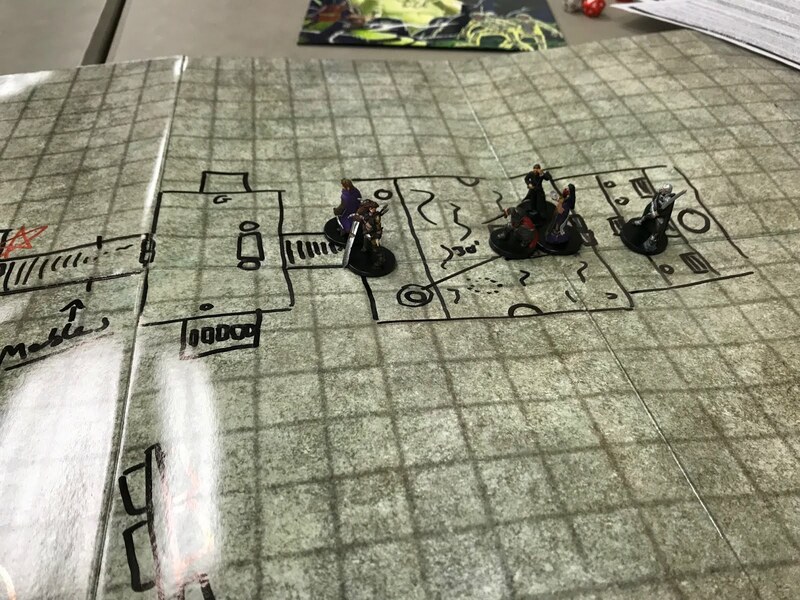 Moving into the next chamber, the party finds a white platform watched by a great serpent statue. The party discusses fleeing the dungeon with the treasure they've already found, when the alarm rune goes off. A team of serpentfolk led by a cobra headed shaman make their way into the temple. The party lays a trap, with two members (Tonya and Marco) waiting to ambush the serpentfolk. They are able to kill off the cobra shaman quickly, but the remaining serpent folk are more than a match, considering their healthy usage of fatal poison. After Larkin and Steve James find themselves poisoned by serpentfolk arrows, Marco locks out the asp headed humanoids while the party cooks up a plan. They resist the oncoming serpentfolk by barring the door just long enough to put marbles all over the floor by the ledge. When the serpentfolk are finally allowed to push through, they all slip on the marbles and fall down the well. Turd heals his poisoned teammates. Gotta finish the Serpent King! 1) This is a convention that is still discovering itself. There was so much to do, and yet, nowhere near enough. I loved the roominess of the expo hall for those brief periods when could shop. But it was so sad to hear from people who didn't get into a single scheduled role-playing game, even after waiting in a terribly long line. I know that I'm mostly on the role-playing game scene, so I wonder if this was similar for the board gamers. I know that we can do better next year, and I plan on being a part of the change. 2) I love Jennifer Walls and Marc Plourde. 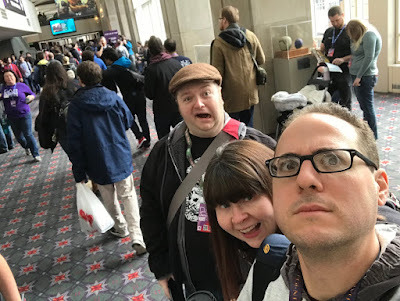 Seriously, I don't know how I'd ever enjoy a convention without my wife and someone who I consider to be one of my best friends. 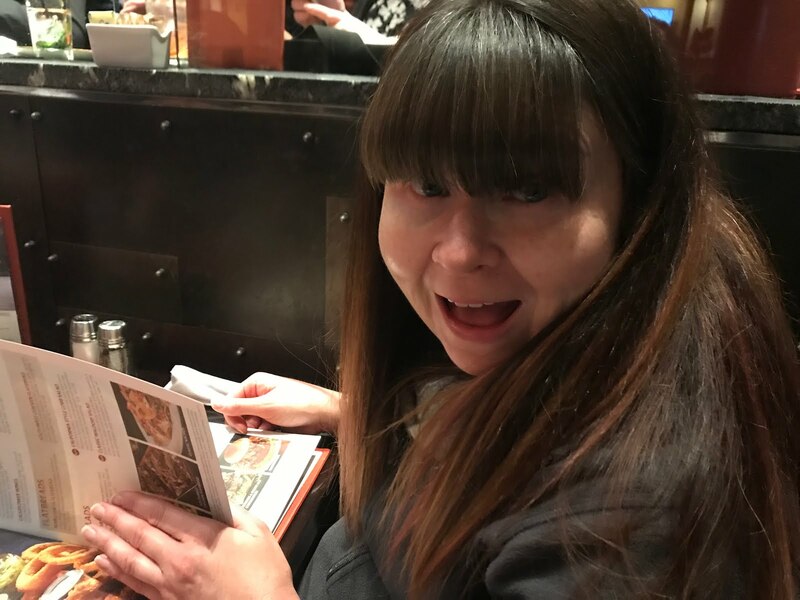 I still adore my wife of 16+ years, and the fact that we can share these experiences together makes me the luckiest person on the planet. If I could have my way, I'd have Marc in every game that I run, both online and in person. I think the three of us make a super-team, and when we can pull in more friends, it's even better. Thank you both for being at PAX Unplugged this year! 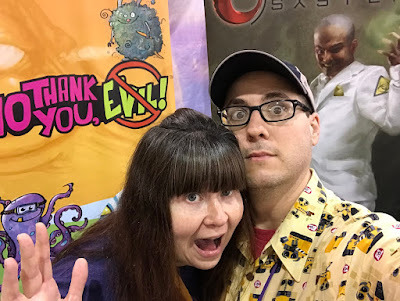 3) Jodi Black saved my con experience. Hands down, Jodi (Pinnacle Entertainment Group/Carolina Game Tables) totally bailed me out when, just a week prior to PAX Unplugged, she shared a link on Facebook to event registration. 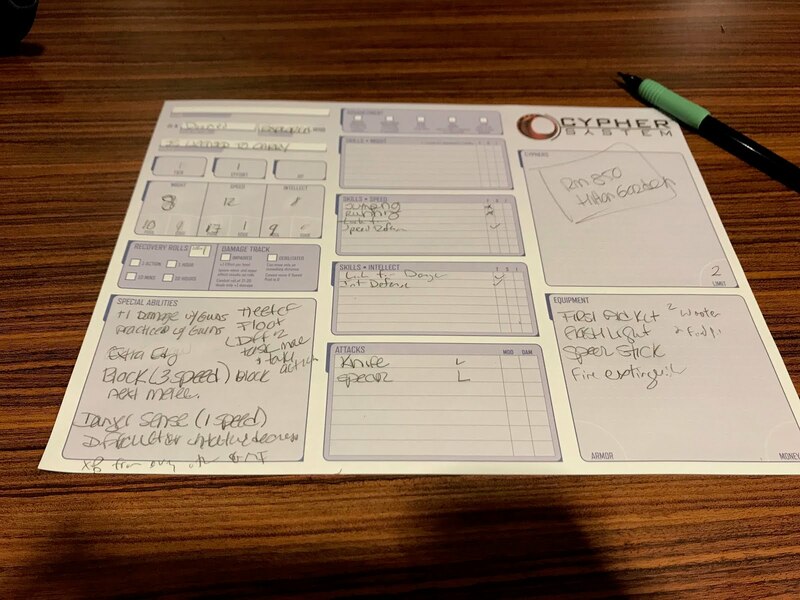 This form was buried somewhere, and when I told my friends at other game companies, they had no idea that it existed. I was able to get a pair of games scheduled, one of which is now tied for "James' Best RPG Event at a Convention". Thank you Jodi! 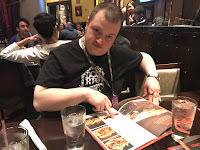 4) Charles Ryan has absolutely incredible stories about the gaming industry, and I could listen to him talk all evening over drinks, and I wish I had just another hour to hear more about the Dune RPG that I so, so, so wanted but didn't get. Wow, that was a run on sentence, but I think it most correctly conveys my message. Somehow, someway, someday we're going to hang out more, Charles. Even if it means that I need to drive to Kansas. 5) Other Philadelphian gamers exist. Maybe I'm just used to the Pittsburgh scene, and running the Norwin Game Knights. I pretty much knew all the big-league gamers out on that side of the state, especially those that enjoyed the same games as me. 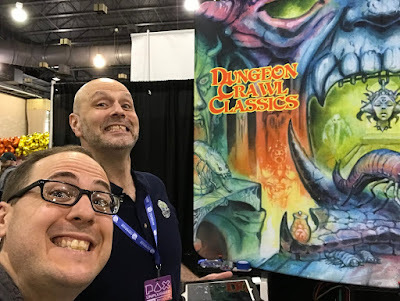 But with the exception of my absolutely awesome DCC Road Crew group at The Games Keep in West Chester, I haven't found many other gamers here on the eastern side of the state. Turns out that they are out there, and they are awesome, and I want to hang out with all of them much, much more. This was it: game time. 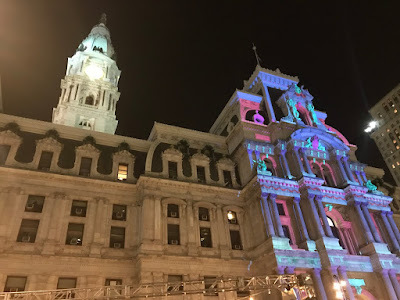 The night before PAX Unplugged I felt like Rocky after running up the steps at the Philadelphia Museum of Art. I know, stereotypical Philadelphian reaction to any great endeavor. There is no better way to start off a convention than hanging out with incredible friends. 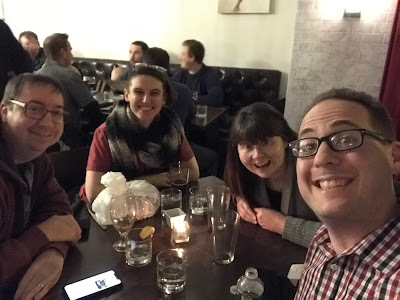 Charles Ryan, Darcy Ross, Jennifer, and I all got to enjoy a great dinner at LaScala's on Chestnut on Thursday evening. Totally relaxing, but also the calm before the storm. My Timbuk2 bag was pretty jammed with everything I'd need for three days. Not knowing what to expect, I had my planned games tucked away, along with enough swag for three additional games. I'd shed my Mutant Crawl Classics and Numenera stuff Saturday. I wasn't running the former, and Monte Cook Games provided the latter at the booth. By Sunday I went crazy and ditched the bag entirely! Marc, Jennifer, and me all ready to rock and roll! We were a little nervous about the first day's entrance queue system. 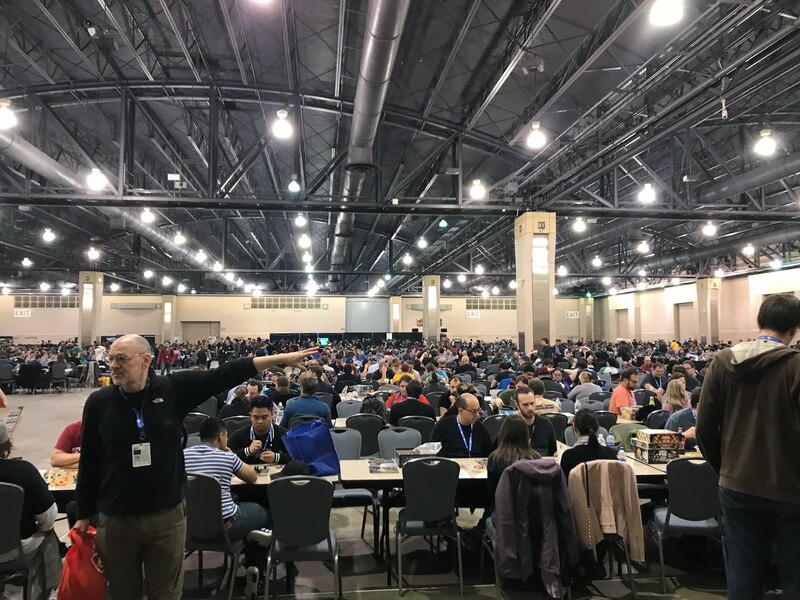 Unlike other cons, you can't just get right into PAX Unplugged. First, there were metal detectors. Then they herded everyone into this stupid-long line, so that we could all move, practically single file, into the expo hall. Fortunately the next day I would have an exhibitor's badge as I was partnered up with Monte Cook Games. Easy access for me! Day 1 of running demos! I started things off running Numenera and No Thank You Evil. Would end up running the demo booth all three mornings. For Friday and Saturday I used A Festival of Iron from right here on my blog for the demo scenes. Switched things up a bit on Sunday with an adventure based all around a living whale-boat. Jennifer spent a lot of time helping out at the Monte Cook Games booth. Here she is, helping Cypher Luminary Darcy Ross with some of the wonderful attendees at the con. For lunch on both Friday and Saturday we went with Molly Malloy's at the Reading Terminal Market. The parsnip fries were a bit pricey but really good. The avocado toast was absolutely incredible! My first scheduled event was on Friday afternoon: Stephen Newton's Children of the Fallen Sun for Mutant Crawl Classics. Such a great adventure, with a ton of meat on its bones! I was a proud backer during the Kickstarter, and definitely not disappointed. Our MCC crew. 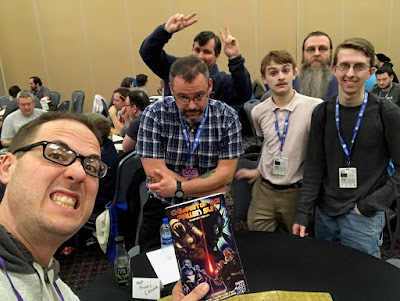 Three familiar faces on the right: Will, Robert, and Rob from my monthly DCC Road Crew game at The Games Keep. On the left we have Lucian giving bunny ears to a very stern looking Mike! Fun fact: I originally had way too many players for this event. I didn't realize that people could sign up for the events you submitted. I thought GM's had to get their own players. So I rustled up a bunch of players, but then four more showed up. I was looking at twelve people! Fortunately Glowburn host and MCC Judge Marc Plourde was there and ready to rock and roll. He grabbed four of my players, gave 'em 0-level characters, and sent them to Sky High Tower. 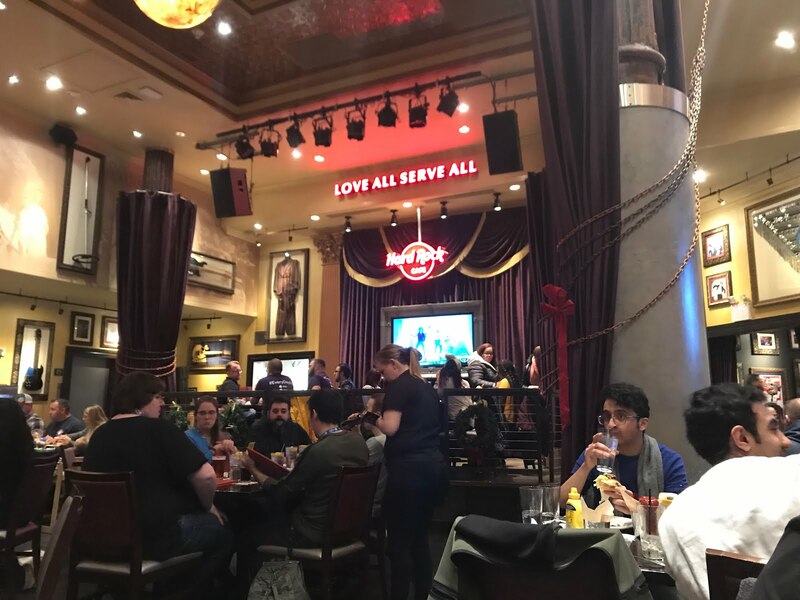 For dinner Friday me, Jennifer, and Marc went over to the Hard Rock Cafe. 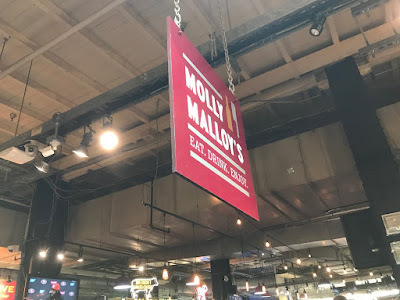 Beer and kale salad? YES PLEASE! Saturday morning at PAX Unplugged. For much of the con, this was the scene in the expo hall. Completely open and comfortable, with lots of room to walk around and enjoy the vendor spaces. Such a relief compared to Gen Con. Evie, Ella, and Carrie, ready for Saturday's gaming. 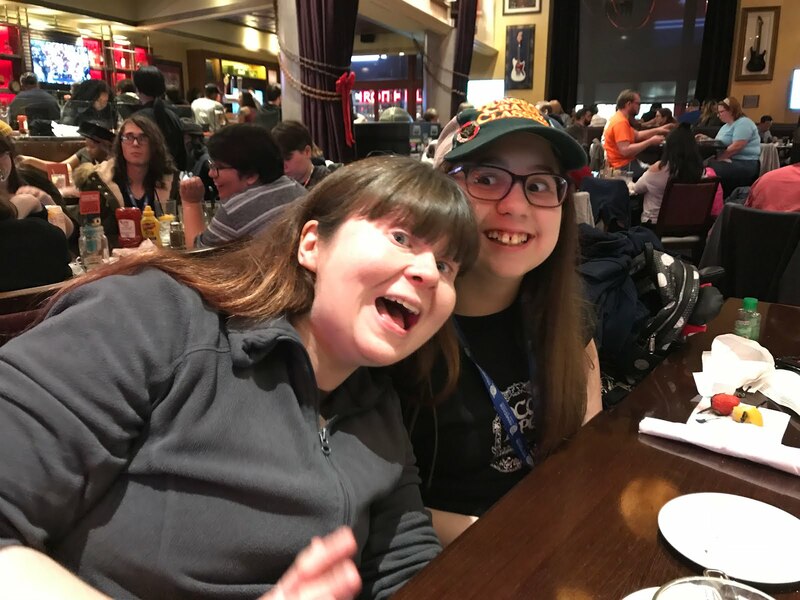 Ella, Carrie's friend from back home in Pittsburgh, was a veteran of our Shudder Mountains campaign and a Numenera playtester, but this was her very first gaming convention. 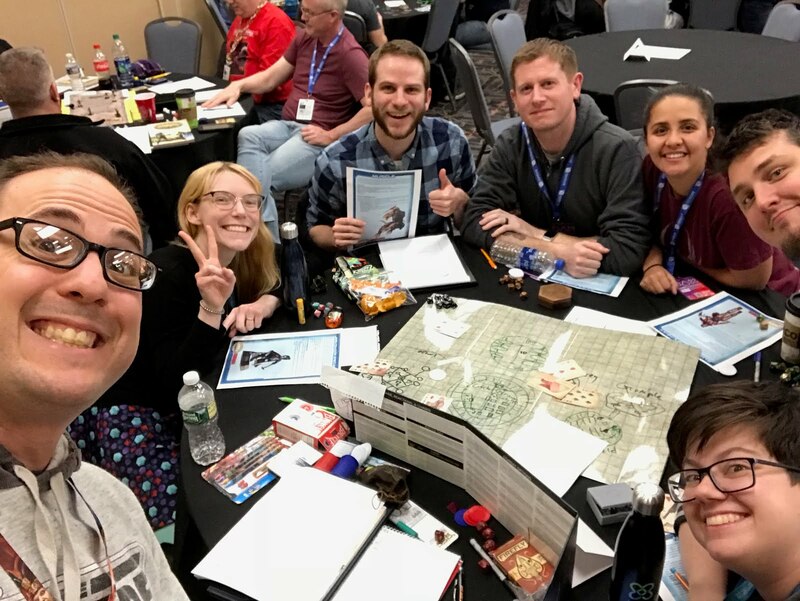 Let's talk about best gaming sessions at a convention EVER. Here I pose with Sam, Dennis, Jim, Kim, Mike, and Kelly, six of my new friends in the Philly area. 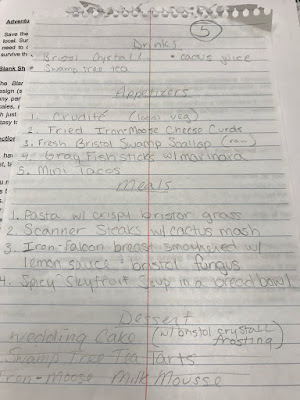 I've been cooking up a little setting-neutral, wedding-themed Savage Worlds adventure that I hope to have released as part of the SWAG program. 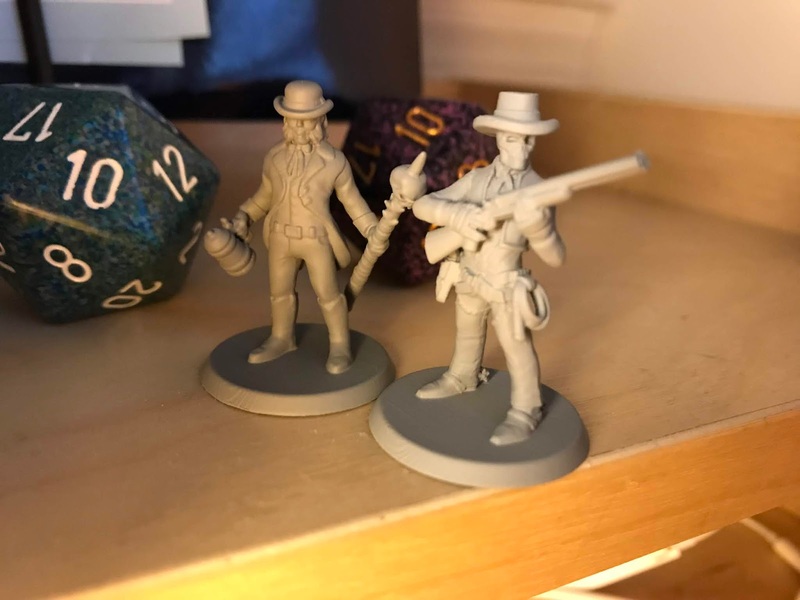 I've run the adventure using Deadlands twice, but though it would be a fun twist to run it with The Last Parsec: Irongate. Who knew that a prison planet would be the perfect place for a charming little colonial outpost wedding? 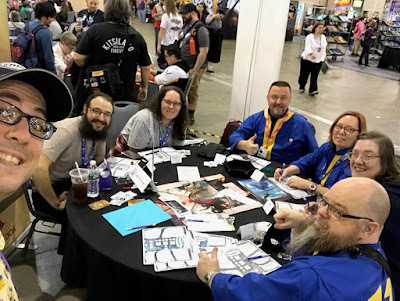 We had so much fun, and there was so much raucous laughter that the table next to us (also Savages, playing Seven Worlds) came over during one of our breaks to politely investigate. 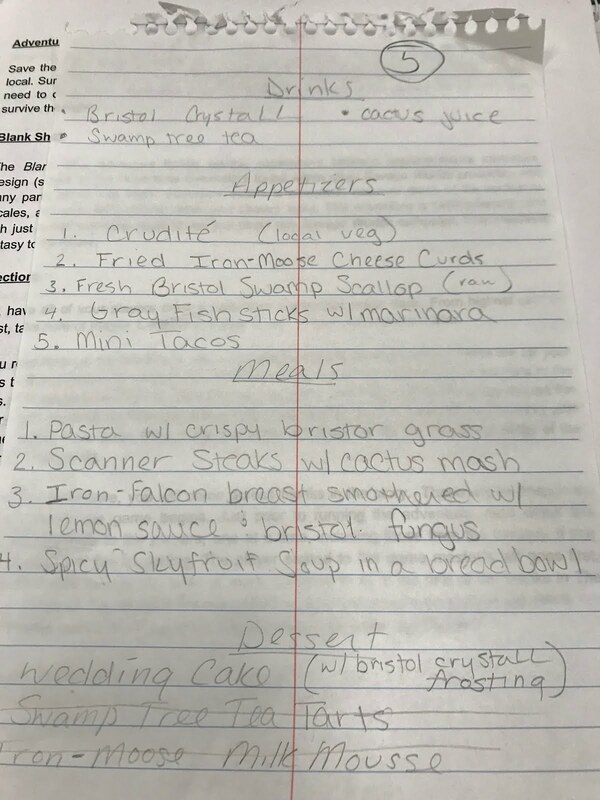 Since this was a wedding-themed adventure, one of the players (Sam, selected to be the party caterer) made a very detailed menu for the event. So much creativity in that group! 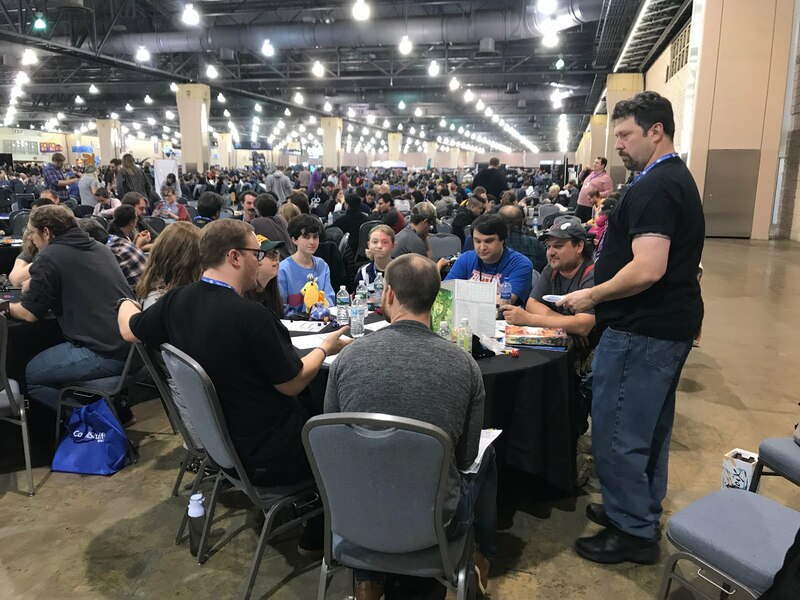 I think it's safe to say that there is now a three-way tie for first place for most fun RPG event I've ever run at a convention. Hey look! 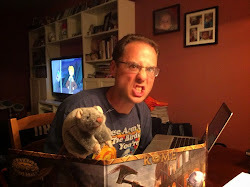 It's Judge Brendan LaSalle in the wild, running Dungeon Crawl Classics! 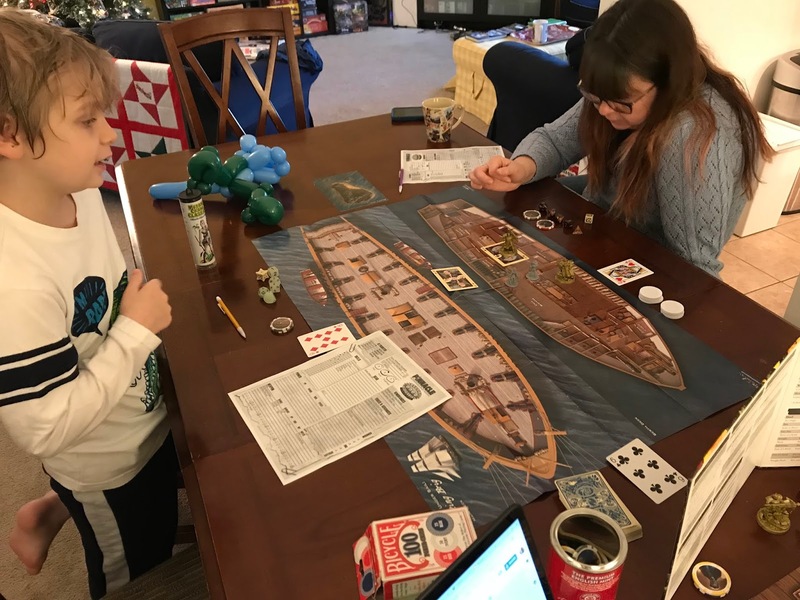 Jennifer was able to get Carrie, Evie, and Ella into a really, really fun game. 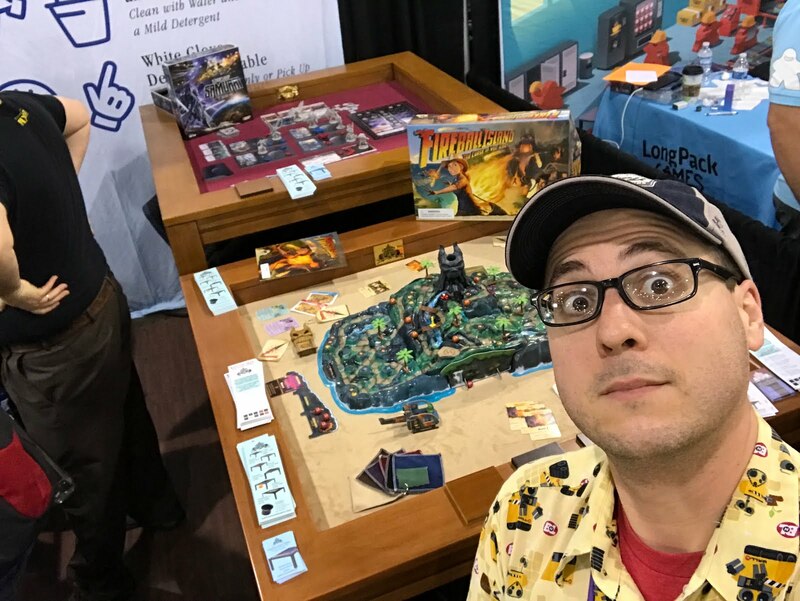 Great selfie with Judge Brett Brooks, who spent most of his time running the Goodman Games booth. 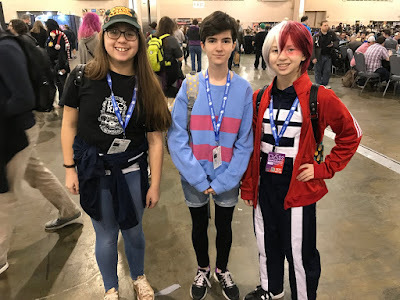 By the end of the con we would get him a little help. What's up with the hand? 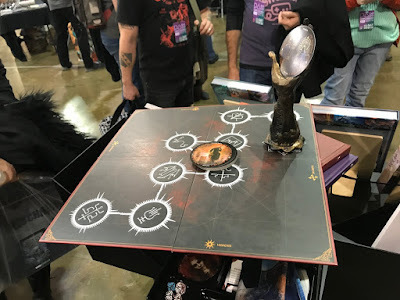 Little known untrue fact: Visible Moon, the unannounced and completely unreal (as opposed to surreal) sequel to Invisible Sun will feature a white sphere containing triangle cards and a statue of a foot. 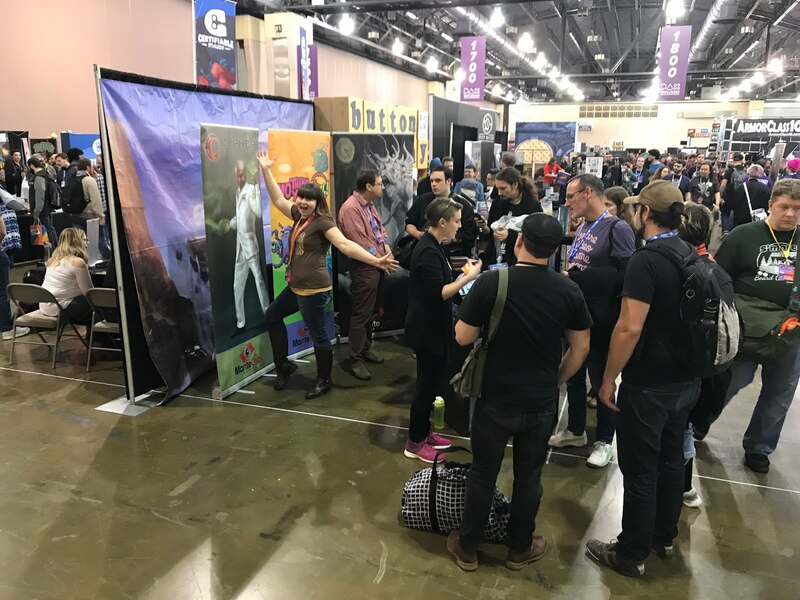 Look, it's Jennifer working the Monte Cook Games booth scene again! Maybe she can explain the hand to me? Or better yet, maybe she should GM Invisible Sun next year? Another night, another dinner at the Hard Rock Philly. Charles and Judge Evie joined me and Marc after regaling me with some absolutely incredible gaming industry stories. I had no idea that Charles was involved with the Last Unicorn Games Dune RPG. To this day, one of my great gaming regrets was not getting my hands on that book. Had a couple of chances on Ebay, but didn't have the money at the time. I really wish they had finished the product. After dinner, me, Jennifer, and Evie went over to the open play room to check out all of the board gaming. Wow, there were a ton of games being played! We opted for something simple: Giant Jenga. I was able to pull off my patented, ultimate Jenga move: the one block rip out. That's when you just yank out the single block and let the other's drop down like Tetris. It's only worked one other time, and only with giant Jenga. But it's a killer move! Saturday night was also the only chance I had to play in an RPG at PAX Unplugged. When one of the players in Charles Ryan's Cypher System game had to step out, I stepped in. Played for about 45 minutes before having to go get the car. But it was late, and we were exhausted. 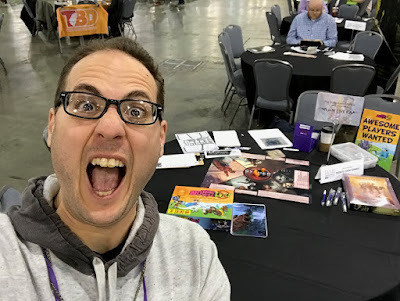 Charles is an phenomenal GM, so I need to get to his table again some time in the future. My Sunday morning Numenera demo had a full table and was a blast. 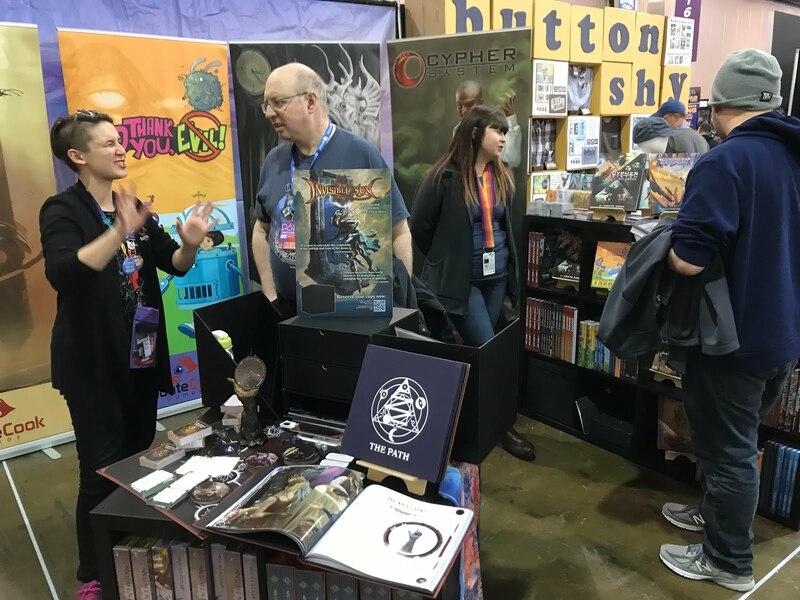 It was great to show off the Cypher System rules to those players unfamiliar with the game, and reveal the secrets of Numenera: Destiny to fans of the original edition. 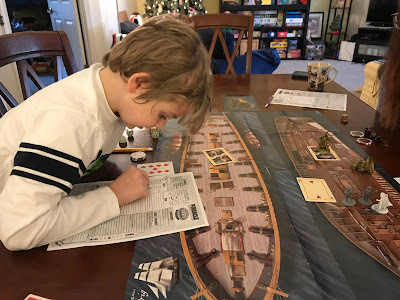 I also had the chance Sunday to introduce a new player named Micah to the world of role-playing games. I would bet that Micah was either six or seven years old, but when his dad (Scott) sat down, he told me that this would be his son's first RPG session. No pressure! Micah was quiet at first, but quickly got into the story. 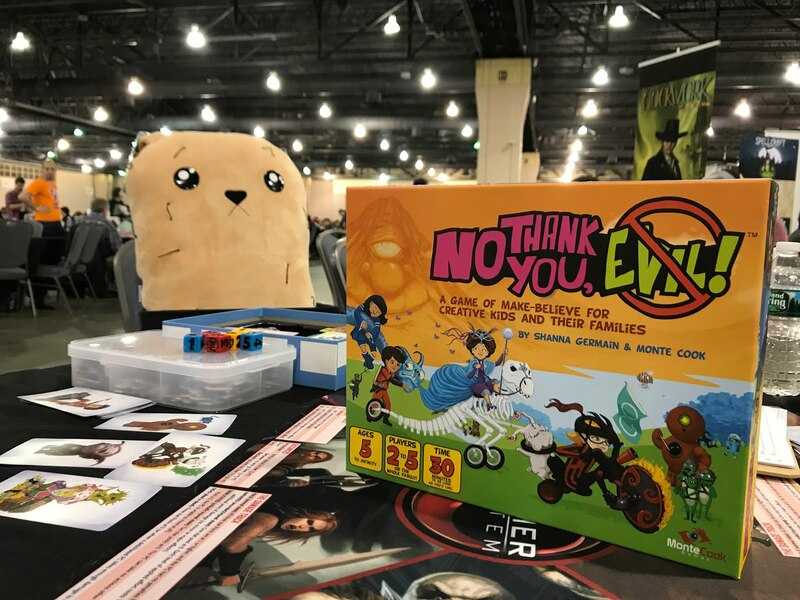 I love GM'ing for kids, and love that Monte Cook Games has given us a product that let's us bring families together. 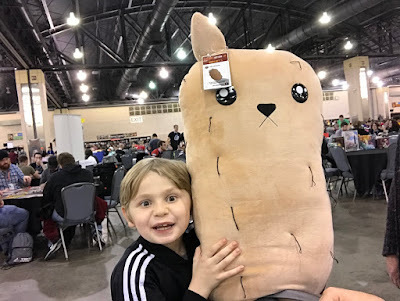 Mandatory Cooper with Potato Cat (Exploding Kittens) picture. Obviously, you can't have DCC or MCC at a convention without Judge Evie showing up. What made Sunday super special for our resident DCC-Fanatic-Child is that she was able to help Brett out in the booth. She organized product in front, and helped chase down sales behind the counter. Look out, Goodman Games, I think Evie wants to do this at every con now! 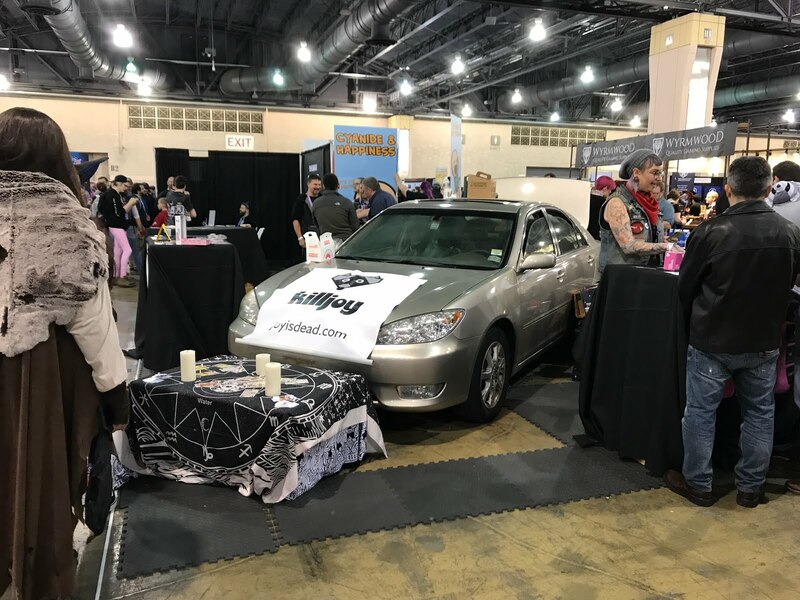 Some interesting exhibitors in the expo hall. As well as some interesting players. We see you Marc! I think he was ignoring us. James and Jennifer selfie while running the Monte Cook Games booth! Charles had to step away for a few, so the two of us had absolutely full control of all things MCG for about five minutes until Darcy realized what was going on and took over. Dangit! I think our favorite booth at PAX Unplugged was the Carolina Game Tables. As soon as we land a house we will be on the hunt for our forever gaming table. We picked out the type (banquet sized), our colors (elm with black felt), and totally talked the ears off of Jodi and Clint Black. Kinda wish we got a selfie, but maybe next time... or when we drive down to get a table in person! What helped to make this the perfect booth was the Federal Donuts that Clint shared with us. So good! 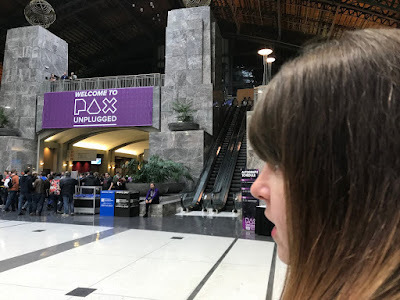 I guess it's finally time to say goodbye to PAX Unplugged 2018. 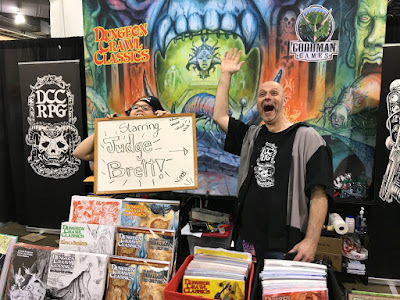 Here was a great farewell picture from Evie and Brett at the Goodman Games booth. 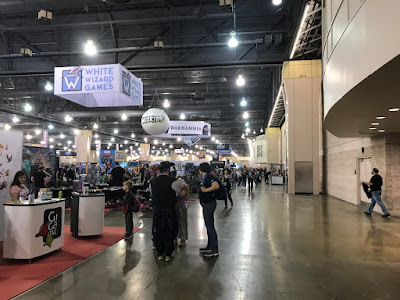 PAX Unplugged was nothing like the other cons we've visited in the past. 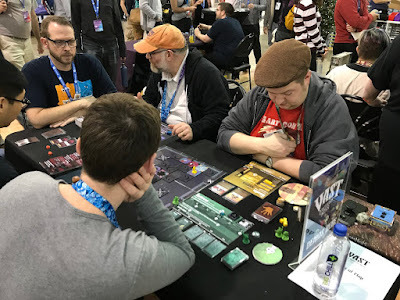 Gen Con is far more organized, and Gary Con is much more relaxing. But PAX Unplugged still seems like a blank canvas. We know what worked, what didn't, and how best to plan for next year's experience. We're Philadelphians now, and PAX Unplugged is our con. We get to make a mark, help our friends run events, introduce them to our city, and meet fellow local gamers.